Made this for a customer & im obsessed! I can do as many meatballs as you need! Hand painted & heat cured. Must be HAND WASHED to preserve the paint. No dishwasher. 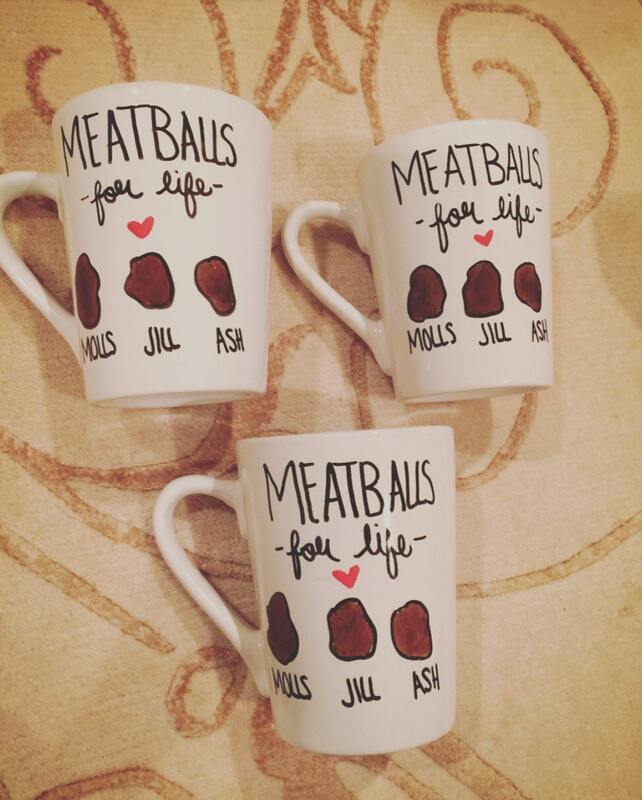 Please advise all mugs aren't made the same as they are made individually and hand make each one. Absolutely perfect. My best meatball freaked when she got it!! Thanks, boo! The mugs came in so cute! 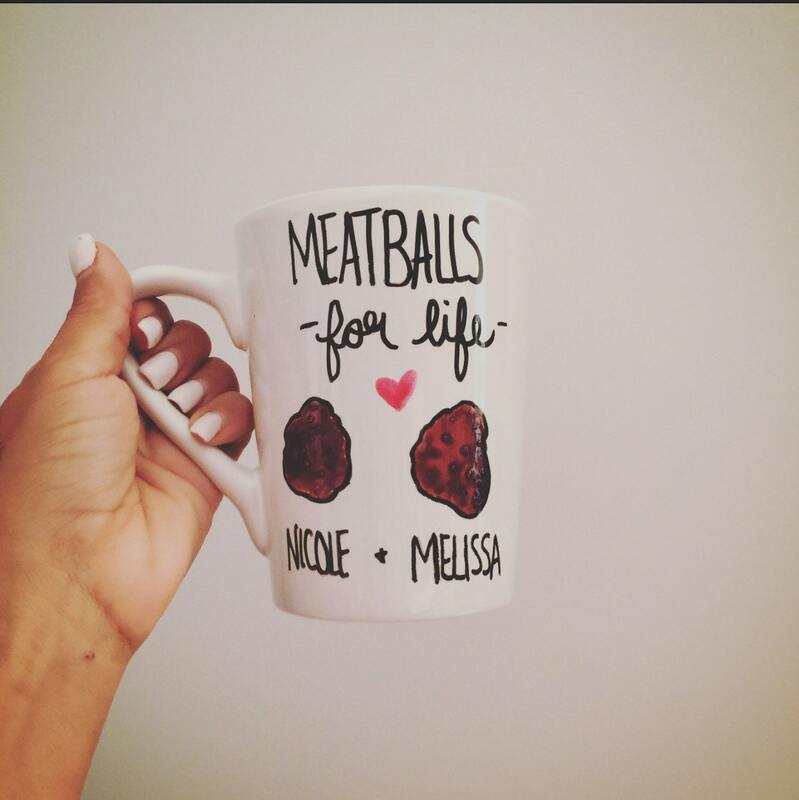 Really cool gift idea for a Nicole fan, and the note is such a sweet touch! Thank you!